Some interesting facts that might surprise you. Maple Syrup. We all know and love it. But here at Maple Valley, we often get questions about some misconceptions surrounding this delicious food. Here are 5 facts that will set the record straight. Some of them might surprise you! 1. Maple syrup and pancake syrup are not the same thing. If you have ever had a cheap stack of pancakes in a diner you’ve probably had pancake syrup. 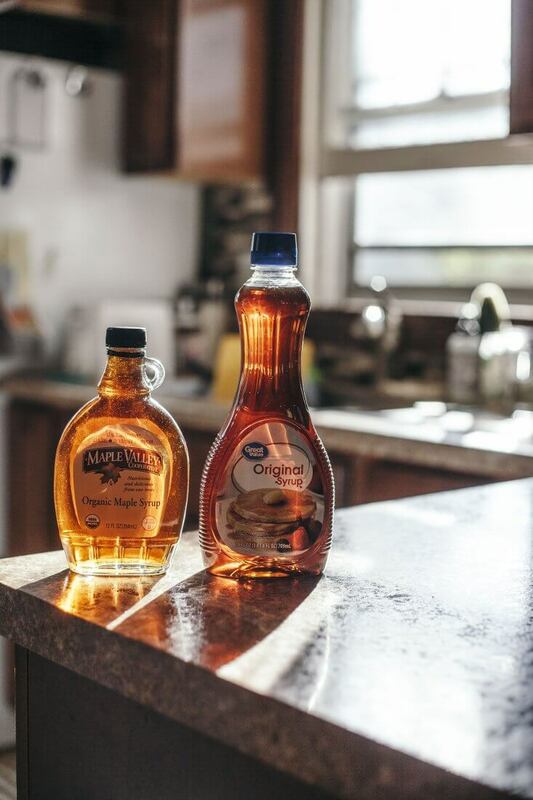 These well-known maple syrup substitutes line shelves at grocery stores and do their best to portray mom’s home-made breakfast at the cabin. Don’t be fooled. These syrups have a long list of bad-for-you ingredients. Here is a list of ingredients for one of the top brands: High Fructose Corn Syrup, Corn Syrup, Water, Salt, Cellulose Gum, Molasses, Natural And Artificial Flavors, Potassium Sorbate (Preservative), Sodium Hexametaphosphate, Citric Acid, Caramel Color, Polysorbate 60. Yikes! In comparison, here is our ingredients list: Organic Maple Syrup. The difference is evident. Not only is this imitation syrup bad for you in it’s own right, it also does not contain the beneficial vitamins and minerals that are found in real maple syrup. Make sure you know what you are getting when you choose your pancake toppers. 2. Dark & Amber maple syrups are the same grade. For a long time, the USDA required dark maple syrup to be labeled grade B, while amber colored syrup was labeled grade A. This led to the common misconception that dark maple syrup is lower in quality than amber. This regulation was changed in 2015. Grade A now includes both dark & amber syrups. This change more accurately reflects the fact that these syrups are the same quality. The only difference between them is the taste. 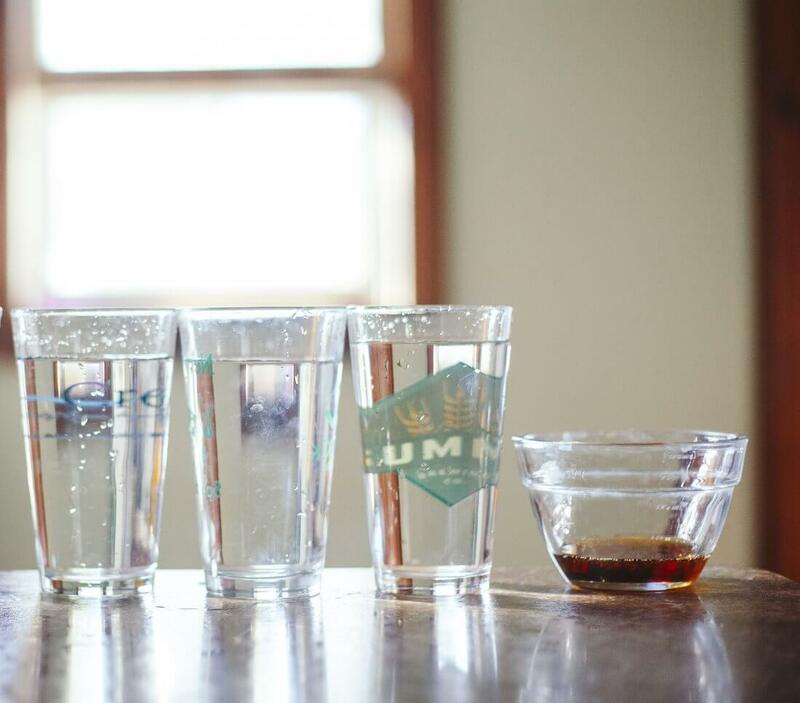 Amber syrup as a smoother more rounded flavor, while dark syrup has a more hearty, robust maple flavor. Most people prefer to use Amber syrup for table syrup and desserts. Dark syrup is also used as a table syrup, and for baking. It all depends on what you prefer! The new standards also provide for a lower grade syrup called Processing Grade. Syrup in this grade does not meet the requirements to be labeled Grade A, but is still considered acceptable to be used in the manufacturing of other products. This product may not be sold directly to retail customers. 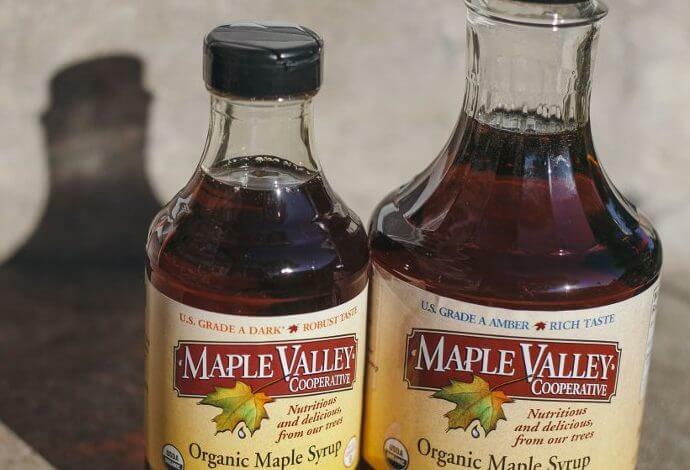 Many producers and distributors, including Maple Valley Cooperative, do not carry this type of syrup at all. 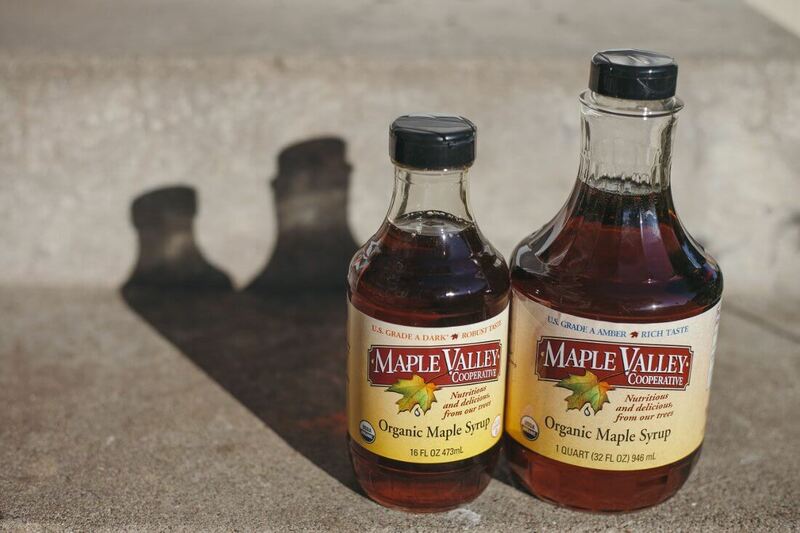 Here at Maple Valley, we only use syrup that exceeds the Grade A requirements to ensure that you are getting the best quality and flavor available. 3. 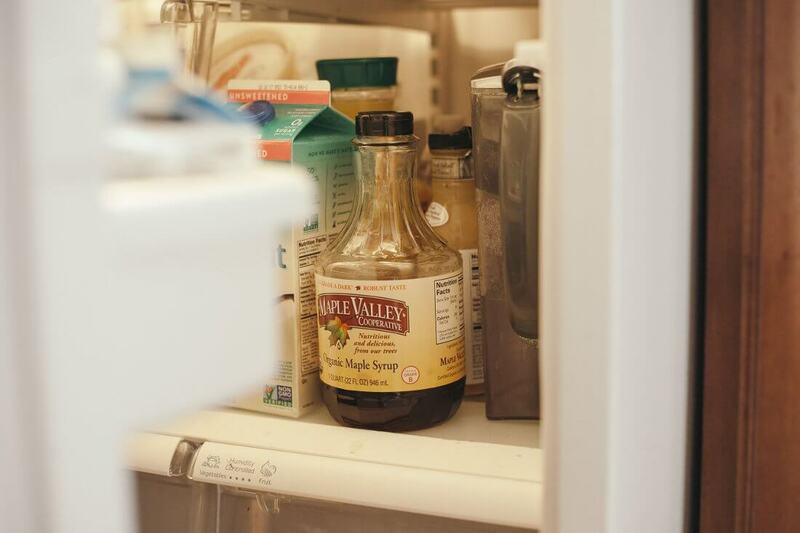 Once a bottle of maple syrup has been opened, it should be stored in the fridge. A sealed bottle of maple syrup can sit on the shelf for years without issue. Once it is opened, it can sit in the fridge for years and still be good. However, if it is opened and left on the shelf, there is the opportunity for molds to grow on the surface. Therefore, an opened bottle of maple syrup should always be kept in the fridge. If you have made a mistake and left your open bottle on the shelf, don’t despair. It might still be usable. As long as there are not visible issues, the syrup can be brought to a boil on the stove to kill any potential bacteria. It should then be returned to the bottle and stored in the fridge. 4. 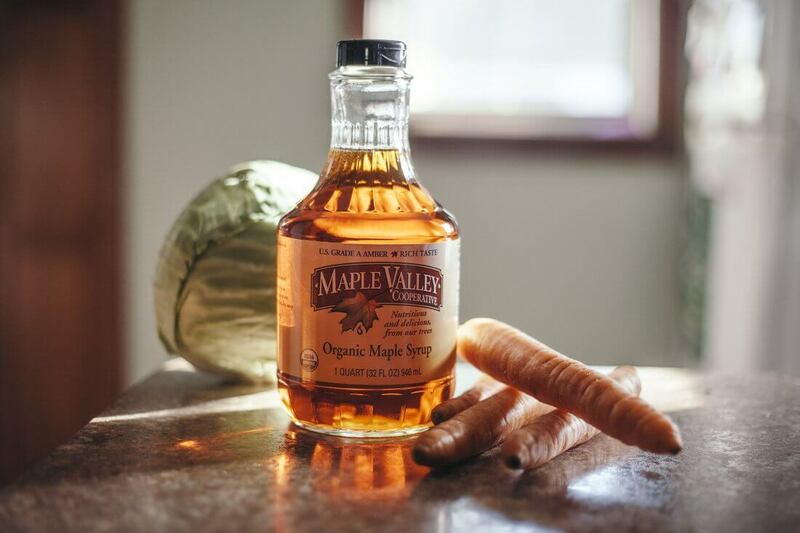 Pure maple syrup has the same number of antioxidants as carrots & cabbage. According to the USDA Database for the Oxygen Radical Absorbance Capacity (ORAC) of Selected Foods, Maple syrup has similar antioxidant levels to raw carrots and cabbage. In a 100g quantity, the mean total ORAC value of raw cabbage is 529, while raw carrots have 436, and maple syrup has 590! 5. It takes 40 gallons of maple sap to make 1 gallon of maple syrup. That’s right! To make one gallon of pure maple syrup, sugarmakers must boil down an average of about 40 gallons of sap from their trees. Each tree produces an average of 10 to 20 gallons of sap per tap yearly. Luckily, trees can produce sap for over 100 years! That’s a lot of syrup! Is global warming affecting production?